Whether you recently purchased your starter home and it is a mere 700 square feet or you moved into a townhome with less than massive space, the right lighting can help create the perfect look for your small home. When you utilize lighting in a creative way, you can help implement a cozy ambiance, leaving behind the feel of cramped quarters. As interior lighting experts in Alabama, we love helping our clients create the perfect lighting concepts for their space. 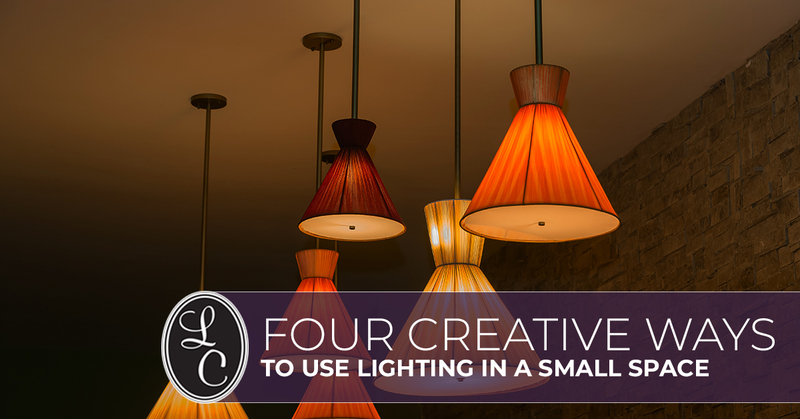 Check out these four creative ways you can utilize lighting in a small space. When you are working with a small space, you want to ensure that any areas where specific tasks are completed are illuminated properly. This will allow for smaller focal points throughout the home, leading to the concept of more space. 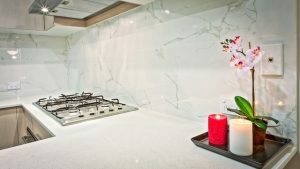 For example, you can add task lighting over your kitchen sink or over your stove to help create a better kitchen flow. Instead of a bright overhead light casting light across the entire room, task lighting will perfectly illuminate the one area you are using, adding to a softer ambiance. This lack of harsh lighting will allow for an airier feel to the space. Just because your home is small doesn’t mean you can’t convert little corners into comfy areas. By utilizing a skinny floor lamp, you can turn a small corner into a reading nook, adding the look and feel of a new space to your home. Make sure that when you are lighting a small area, you utilize appropriately sized lights. A bulky lamp or a large fixture will overwhelm the area. Opt for small fixtures or tall and slender lamps to illuminate the space. If your small home or apartment currently features huge light fixtures, it might be time to swap these out for recessed lighting instead. Big hanging fixtures can overwhelm small spaces, leaving the area cramped and overlit. Recessed lighting will tuck away into the walls or ceiling, leaving you with an open feel and freeing up the space in the room. One of the best ways to improve your small space is by getting rid of bulky fixtures. Another sleek lighting option is track lighting. These lights will hang out of the way and can help to direct the flow of a room. Track lighting is an excellent fit for rooms such as your kitchen or bathroom. Make sure when you opt for track lighting you pick small tracks, rather than large ones. You can even implement track lighting along the side of a slanted wall to improve the room’s illumination. For example, if you have a small loft with a bed located near slanted walls, improve the space with track lighting which can create beautifully illuminated lines alongside the bed. Need help designing the perfect interior lighting in Alabama for a small space? We can help you turn your cramped home into a beautiful space with the right interior lighting fixtures. Stop by today!